Last week I earned my Invertebrate Zoology team at Humboldt State University 10 extra credit points for successfully identifying a gammaridean and caprellid amphipod, a mysid shrimp, and several Palmonetesshrimps! How, you ask? One word: ZEN. 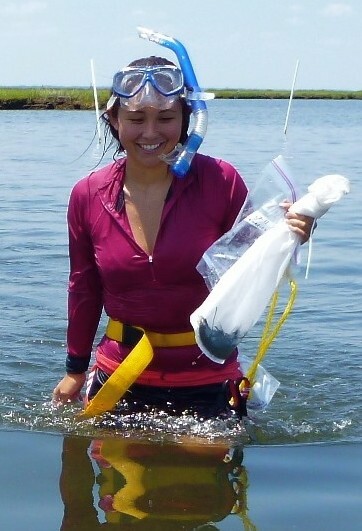 This past summer I was in the REU program at VIMS working with Dr. Duffy’s Marine Biodiversity Lab. 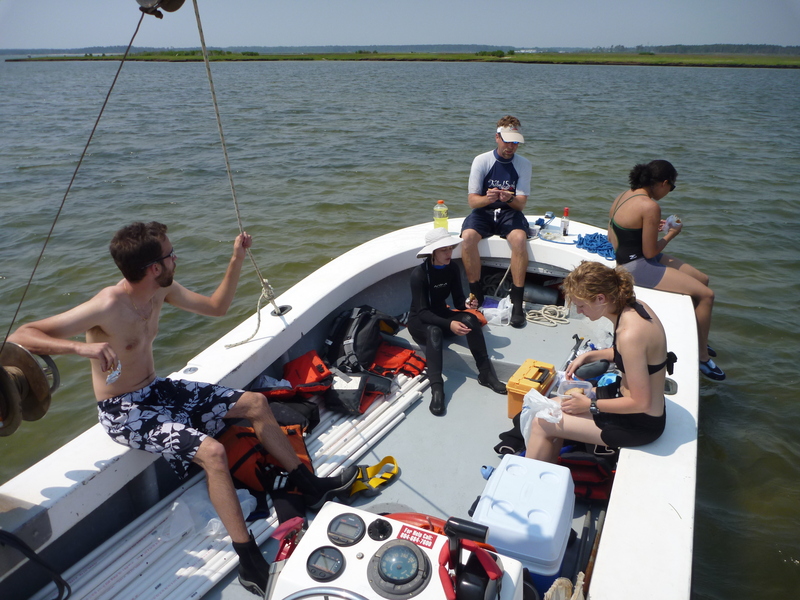 The ZEN project had just begun when I arrived in Virginia and I quickly set to work making experimental equipment and processing seagrass samples. Coastal Virginia looks nothing like the rocky California Coast where I currently go to school at Humboldt State University, nor like where I grew up on the Big Island of Hawaii. I have had few experiences as enriching, educational, and career-focusing as my internship with the VIMS ZEN team. 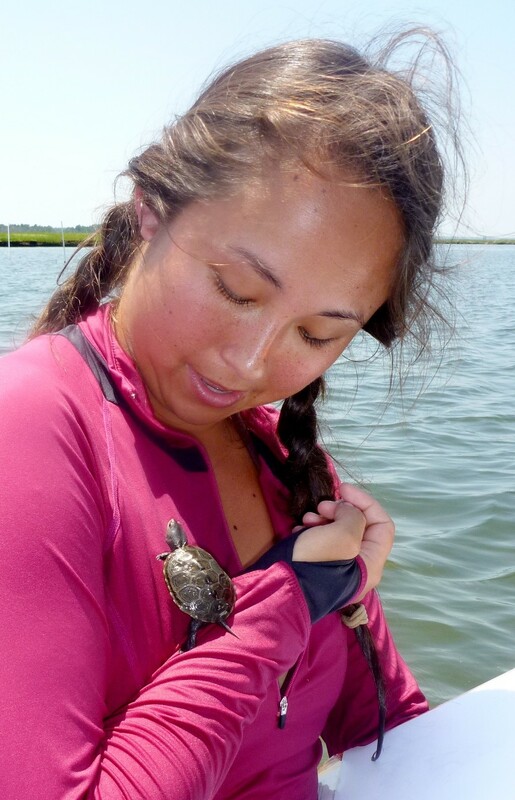 I had an up-close encounter with a juvenile terrapin who tried to nest in my hair, and an encounter with a sea nettle that wrapped my leg in a less than tender embrace. 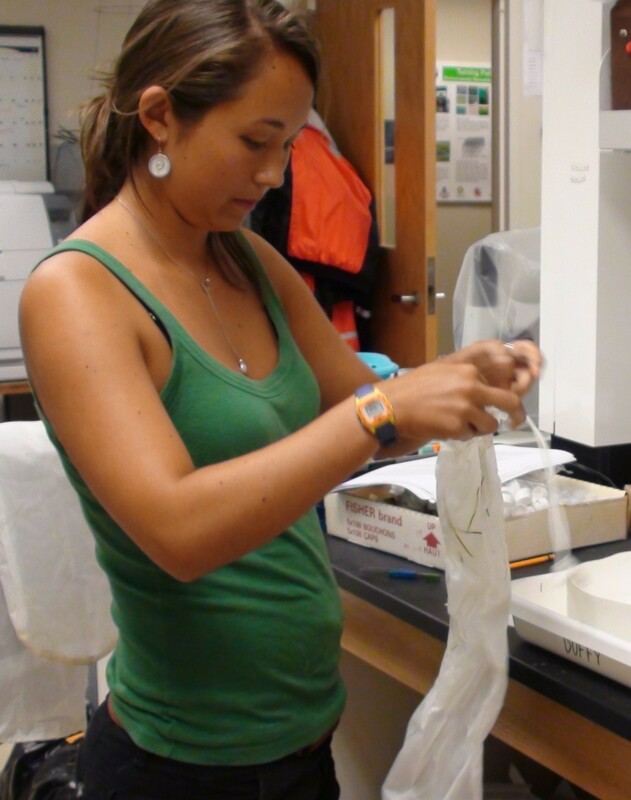 I became an expert at pouring cups of wet plaster, identifying a severed head or lone backside of the tiny amphipod Gammarus mucronatus, distinguishing between seagrasses Ruppia and Zostera, doing the sting-ray-shuffle, writing international UPS labels in the nick of time, and so much more. Sadly, since my time at VIMS has ended, these skills have been poorly utilized. 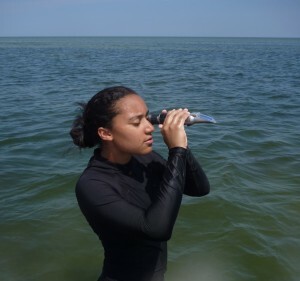 They have, however, given me a better understanding of marine ecology and the functioning of seagrass habitats, and they’ve earned me 10 extra credit points in Invertebrate Zoology! 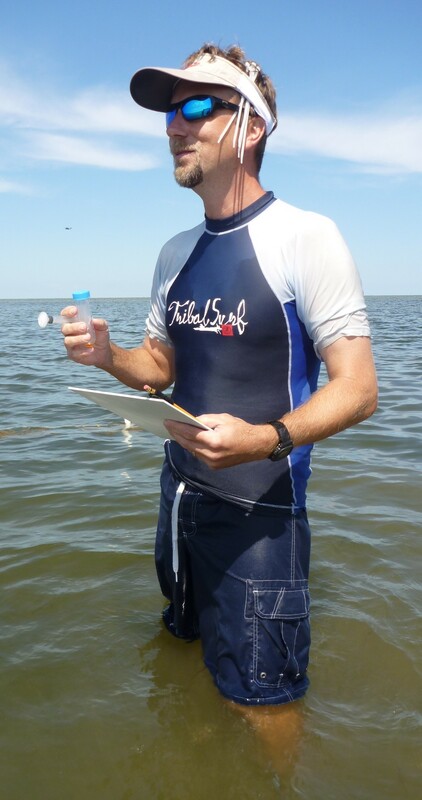 Emmett Duffy’s lab at VIMS is a craftily chosen group of people who have collectively helped to steer my interest in graduate studies towards subtidal ecosystems and their global presence and impact. I can’t wait to hear about where the ZEN is headed, and the progress that it has made. It was a summer well spent. 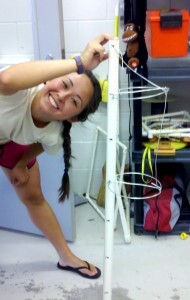 As Emmett’s lab manager in the Marine Biodiversity Lab at VIMS for the past 10 years there’s rarely been a dull moment. There is such an eclectic range of duties with this job that sometimes it’s hard to know what will come next. One day I may be driving a research vessel to field sites were we snorkel to collect samples in the Chesapeake Bay, the next I’m doing data analysis, or building materials for a mesocosm or field experiment, talking to a high school marine biology class, ordering lab supplies, or explaining to the woman at Wal-Mart that I really am buying all of their lingerie bags and knee high, queen sized, reinforced toe stockings for the purpose of science! The Zostera Experimental Network (ZEN) project has added yet more varied activities to the list. Never before have we conducted such an expansive project coordinating with 14 other research groups from around the States and the world! Interning at VIMS during the hectic months when the ZEN project was at its peak was an experience that I will never forget. The main reason that I wanted to take part in it was that, as an impassioned yet inexperienced college student, I had a reasonable knowledge base in biology but had no idea what it was like to actually do research, much less to be a part of such a grand-scale project as the ZEN. I approached Dr. Duffy at the suggestion of one of my professors at William and Mary, and luckily enough at this point his lab could use all of the help I could give.